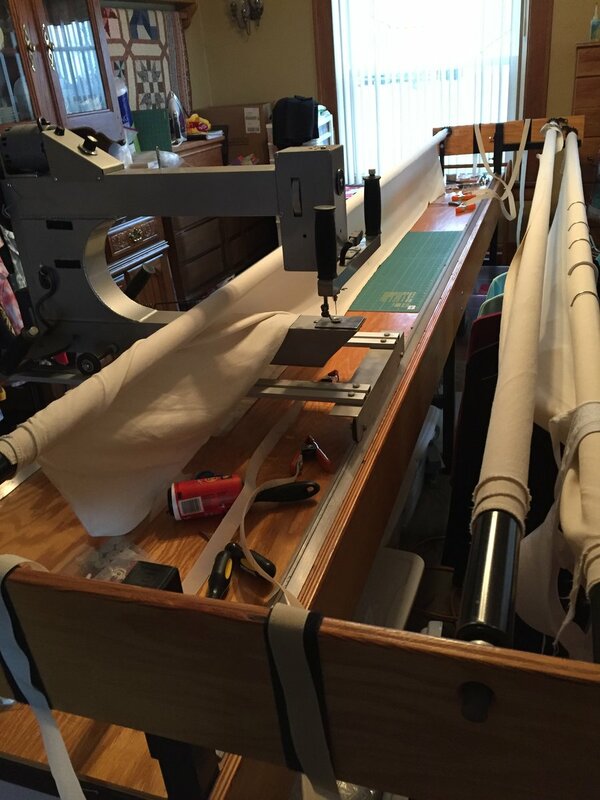 For Sale--Ultimate II longarm quilting machine with 14-foot wood table. Located in SW Iowa. Machine was recently factory-serviced. Works great! 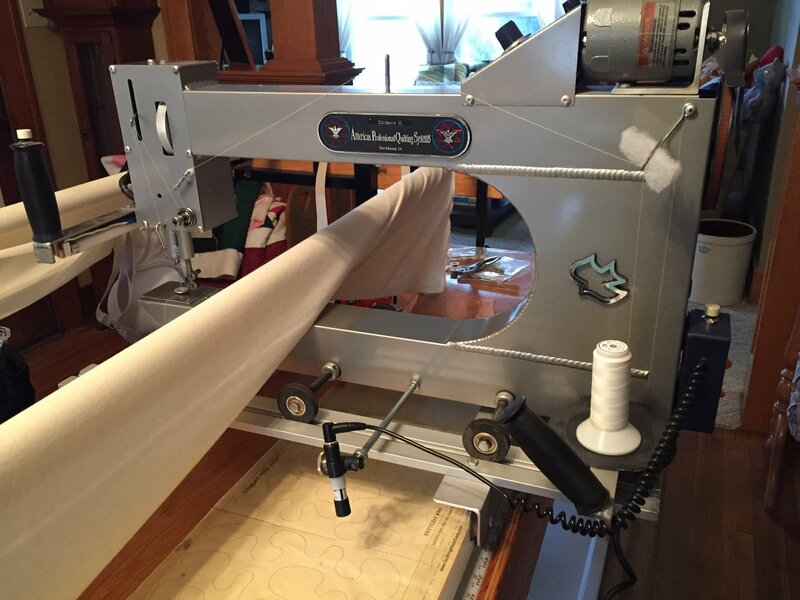 Machine is not stitch-regulated, but is simple to operate and maintain. Great for a beginner or someone wanting to get her own quilts done easily. New canvases recently installed--can quilt up to king-size bedspreads (150 inches). I'm moving to a smaller home and unfortunately can't take it with me. Laser light included for pantograph patterns. Buyer must pick up; shipping not available.